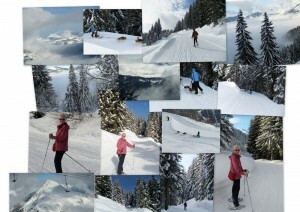 I have been very lucky to have a weeks skiing in Les Gets every January since 2007. The first year I went I could barely stand up on ski’s, so it still amazes me that I mastered the art of skiing especially as it scares me to death !! After a week’s skiing I always come home thinking if I can ski then I can do anything !!! 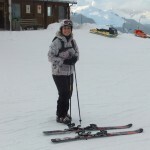 This entry was posted in Les Gets, skiing on January 21, 2014 by Sally. Today for the first time I went off skiing by myself and had a lovely time doing my favourite blue runs over on the Chavannes. Tomorrow we have guests coming for the next week, I am so looking forward to going skiing with them on the lovely blue/red runs which i enjoy so much but Geoff wont do on a snowboard. 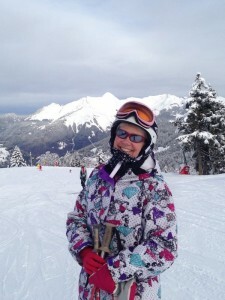 This entry was posted in Les Gets, skiing on January 18, 2013 by Sally. The mountain air did me some good and my chest is much clearer now ! 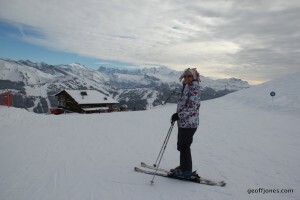 This entry was posted in Les Gets, skiing, walking on January 13, 2013 by Sally. 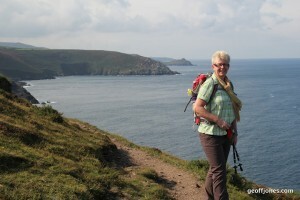 My Fitbit and I are enjoying all the hill andÂ mountainÂ walking ……..
First it was St Ives in Cornwall, where I did one of the most undulating walks I have ever done, from St Ives to Pendeen along the South West Coast path. 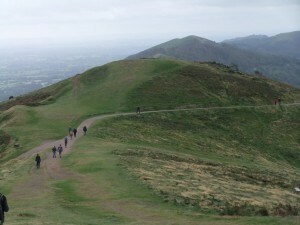 Next it was a weekend away with the Cambridge Rambling Club where I especially enjoyed the walk in the Malvern hills. 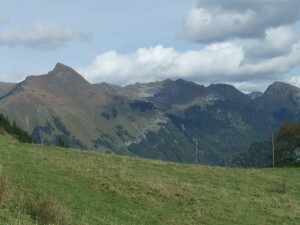 This entry was posted in fitbit, Les Gets, walking on October 3, 2012 by Sally. Tomorrow we catch the train to St Ives,in Cornwall, where we shall spend some time walking and have a night out at the beautiful Minack Theatre. 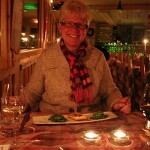 This entry was posted in Les Gets, Massage, Personal on September 20, 2012 by Sally. A few things made it extra special this year…. Secondly we caught up with our friends Gail and Thierry, its always great to see them, Gail and her daughter Louise managed an afternoon skiing with us and Thierry was brave enough to give me a ski lesson, trying to improve my technique as I tend to ski using my hips rather than my knees 🙁 . I learnt a great deal and will have to practise lots next year. Finally I was treated to a fantastic 5 course evening meal at La Grande Ourse,which is a family run restaurant on Mont ChÃ¨ry at an altitude of 1750metres (5742 feet) Â overlooking the picturesque mountain village of Les Gets ,to get there was an experience in its self, About 15 diners had booked for the meal and transport was on the pisten bully straight up Mont Chery ! The menu was amazing,thankfully it was a clear night so the views were also amazing. This evenings menu was slightly different, so for my main course I had an Ostrich fillet served on a homemade rosti with a butternut squash sauce, then for dessert Ross the Chef made me, my very own Creme Brulee, which was divine ! 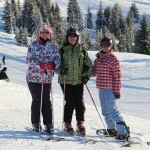 This entry was posted in Les Gets on January 19, 2012 by Sally. After 7 days of skiing I am Knackered . This entry was posted in Les Gets on January 16, 2010 by Sally. Yesterday even in the low light conditions I managed to ski from the highest point allowed on the les Gets Ski pass. At 6575 ft it was steep in places and with a drop of 2000 ft I found it quite tough but I managed it. Although it left me feeling mentally and physically Tired. We set our alarms so we could be out on the first chair lift this morning and much to our delight the sun was shinning. This entry was posted in Les Gets on January 15, 2010 by Sally.